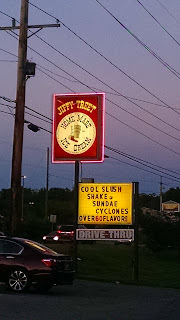 After our putt-putting at Putter's Park, we walked next door to Jiffy Treet to get some ice cream. They have several locations in Bloomington and another in Bedford. 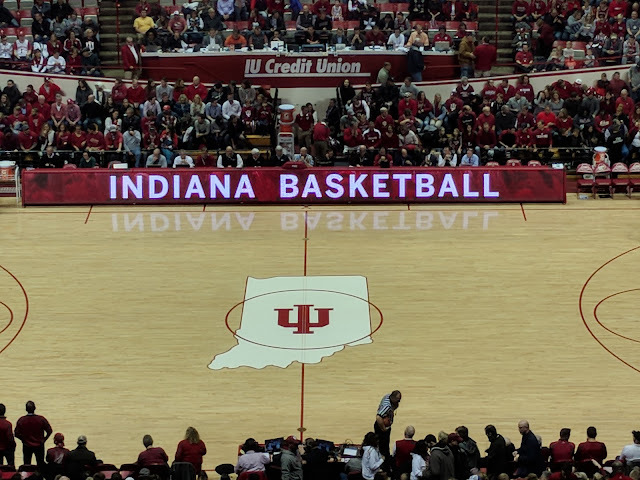 We have now been to this one and the one on the east side of Bloomington. They have both soft serve and hard ice cream, which is homemade. Eric and I split a cookie dough sundae (more than enough for two people). The place was hopping from the time we arrived for dinner around 7 (Los Chachos, Putter's Park, and Jiffy Treet are all next to each other and you can walk between them) until at least after we finished our ice cream near 10pm. 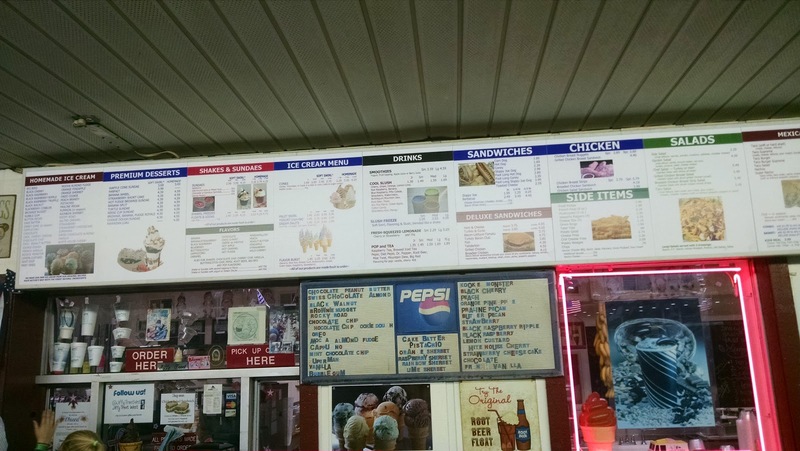 You may have to wait in line and wait for your ice cream. 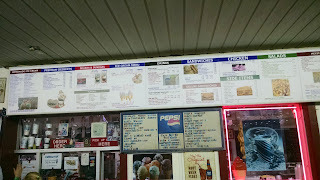 They are open 10am-11pm in the summer (they have non-ice cream offerings too) and I see them busy even in the winter. 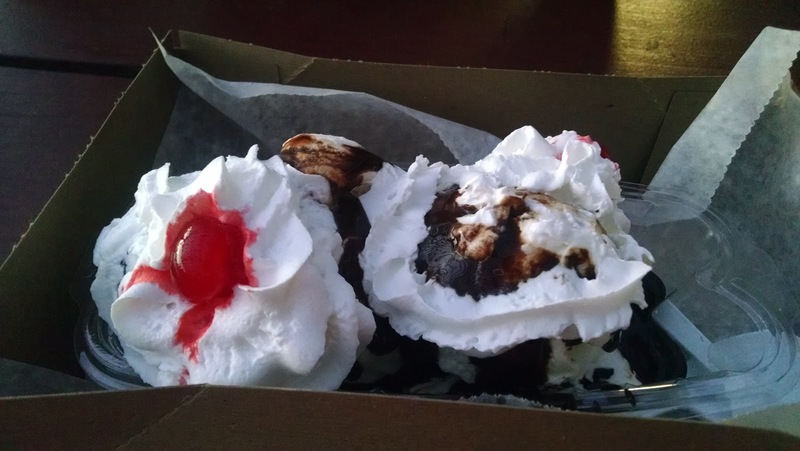 We made a great evening out of dinner, putt-putt, and ice cream, and the convenience of having all three right next to each other was a great idea on someone's part.